I’ve had the good fortune of having pets at home, and during their growing years, I’ve seen their mischief getting them into trouble. One of my Alsatians was quite a perky guy and would love running and jumping the fences. On one occasion, I remember him injuring his hind leg and had to limp around for several weeks. Back in the days we didn’t have pet wheelchairs, and the one like Petdali’s pet wheelchair, would have been godsend. Although designed for pets with hind-leg disabilities, and with the ability to adapt to a growing pup, this pet wheelchair is not radically different than the ones we see in the market today, but is a refined version of them. The harness looks a lot easier to use and so it the construction of the back limbs straps. Comfort and adaptability being the key words here, I’m looking forward to seeing this in the market soon. A very delightful packaging design is what we have for you here! Take a look at the All-In-One Paint Package Design, which includes an array of painting accessories in one compact package. The whole tin includes paint pads and trays that are designed in a rectilinear form, decreasing the footprint of the box and making it easy to store and transport. Apparently the paint pads are detachable and reusable and the lid of the paint tin can be used as a paint tray. Once you’re done with using the tools, simply pack them together in place and store easily. The paint doesn’t dry and an extension pole is also included, to reach the corners of the tin. 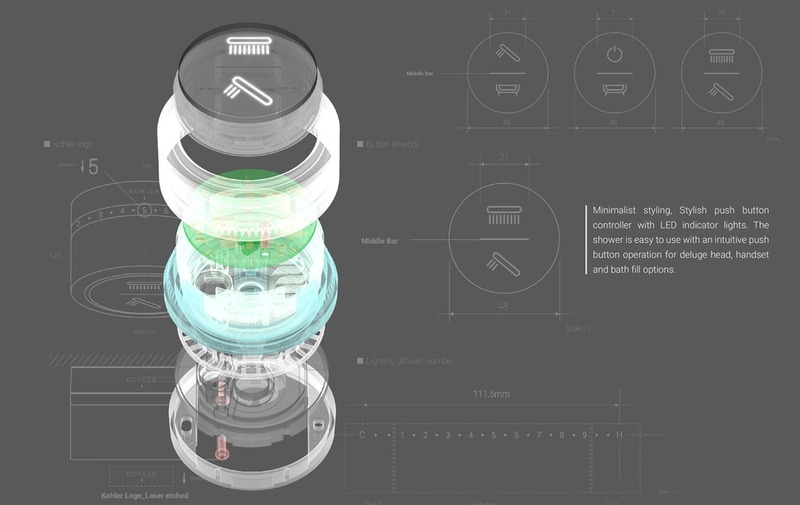 I like the efficiency of the whole design, hopefully the concept will see the light of day soon. As a mother of two children in their twenties, I know how harrowing unwell kids can be! Even at this age they kick-up so much fuss, so imagine what toddlers can do. The worst is taking temperature, especially if you need to monitor it every few hours. Although ear thermometers are a boon in comparison to the mercury ones, keeping kids still during the intrusion, can be tricky. To overcome this challenge, what the Ear Fun thermometer does is that it integrates funny sounds and jungle noises into the device. It’s like telling the kids that if they put their ear to the device, they can hear some cool sounds. Thus piquing their interest and making them a willing party to thermometer readings. On the tech-side, this IoT device stores the last 10 readings and can be linked to your smartphone. You can record as many sounds you’d like and enthrall the kids! Ergonomic design and intuitive interface are just the cherry icing! When you are in the construction business, some of the insights that could help the contractor build better include: the possibility of making quality control more efficient and precise, use of a device that could instruct workers to build in a more intuitive way or what if the designer could see what they have rendered in a more realistic way? This is mainly due to the fact that designing, building, remodeling and quality control are the four pillars that make a solid construction. Architects get to do their bit on 3D rendering software, and construction workers use blueprints and 2D CAD layout to decipher the vision. But sometimes execution gets complicated. According to designers Huwan Peng and Haoyu Liu, the main challenges comes when workers have to deal with remodeling sites as they don’t have much information of what’s behind the walls. Even quality control managers may find it difficult to check and measure the interiors via tapes and forms. The solution to these issues is the NOCTUA Mixed Reality safety helmet. Inspired by the little owl (scientific name) and its ability to see in the dark, this helmet integrates technology and aesthetics. The NOCTUA Mixed Reality safety helmet generates holographic images that merge real and virtual worlds, giving the construction worker an inner vision about the task at hand. To make it work, the worker needs to pull down the MR glasses and select from the four special modes (Render mode, Measure mode, Transparent mode, and Build mode). They can easily switch the modes off at the press of a button and see clearly sans the VR. The uploaded 3D files create virtual objects like building structures, dimensions, and even hidden objects and final render. The device promises to improve efficiency and reduce problems faced by workers during the construction process. Hypothetically this could be a Leica branded printer concept, but I’m going to keep that aside for now and focus on this clever idea and its potential. Instant printers are not a new phenomenon, so what makes this Photo Printer different? 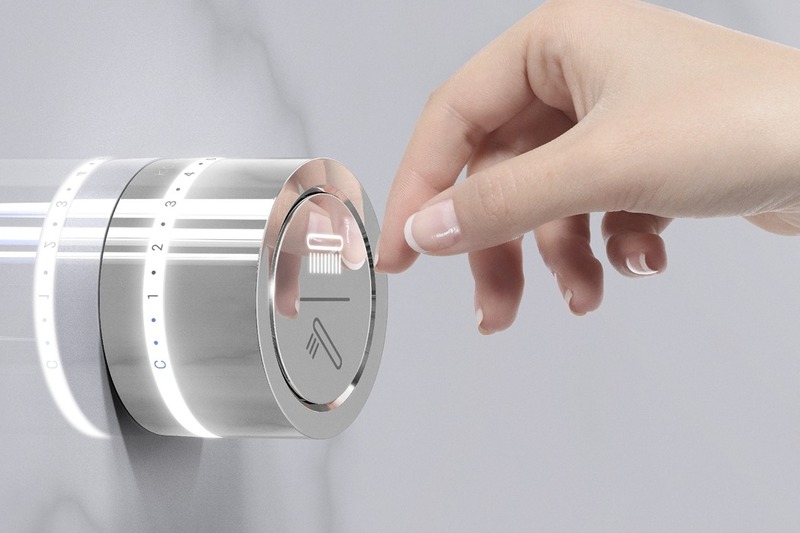 The prospect of it directly connecting to your phone, acting as a battery backup and a printing machine. I could go a step further and say that it even serves as a memory backup for all the wonderful moments you capture through your phone, but for some odd reason I feel it shouldn’t have this feature. In my mind, it takes away the charm of printing instantly and that being the only evidence of the magic you created. Back in the days, it worked well – of course you had a negative film that you could take more prints from. In this digital age, I think the phone’s memory will suffice. Let the printer do its job and be your constant companion when you travel and help you take beautiful pictures… always! 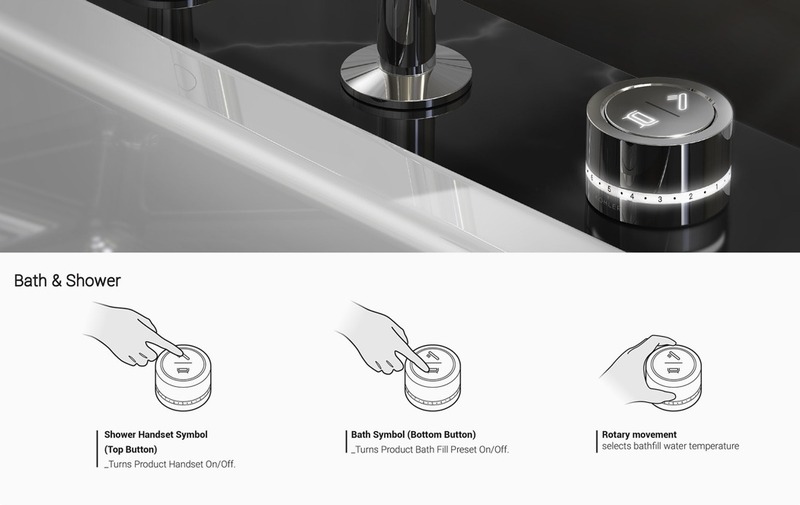 Ampère is an intelligent socket system that has some fantastic UI UX experience attached to it. 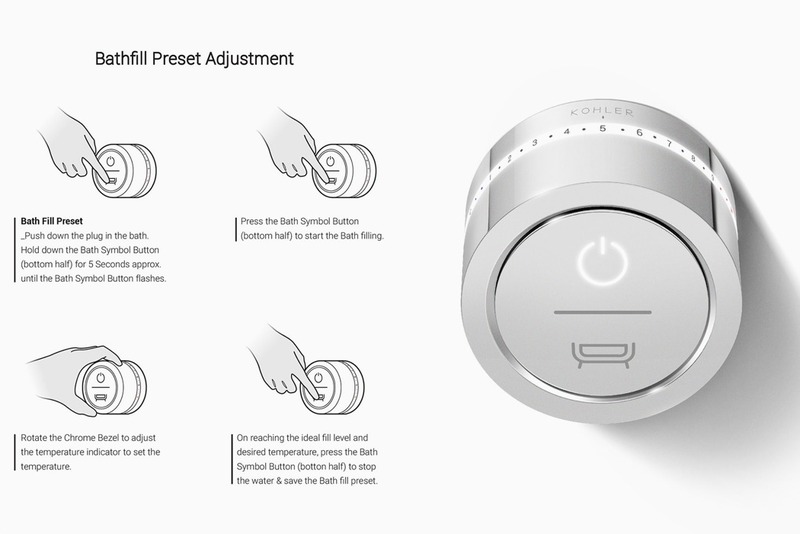 It comes with features like magnetic locking, power consumption of individual gadgets directly fed into the accompanying app, as well as the control of each socket on your fingertips. While the design challenge has been easily solved with intuitive UI UX and sleek design, the technology implementation would be worth understanding, should this concept come to life. We have seen several illuminating bags in our times, but nothing as dramatic as the NEBULITE Collection of drawstring bag, jacket and fanny pack. Apart from the usual fancy of wearing an illuminated accessory on you, whilst navigating a party, the smart features of the NEBULITE series, make them a compelling buy. The problem that designer Veit Nachtmann is trying to solve is heavy and expensive illuminated bags that are currently available in the market. His research and solution has given birth to a set of illuminated bags and jacket that are lightweight, hip and won’t burn a hole in your pocket. From a stealthy black to full-on rainbow spectrum, the NEBULITE bags come with a built-in SMART controller that functions via Bluetooth and comes integrated with a motion sensor, audio detector and an 85 dB loud alarm. Constructed using fiber optics, that are directly woven with synthetic fibers, the optic fibers illuminate evenly and through the length of their strand. Six ultra-bright LEDs add more illumination to the bags. The only thing you need to be careful of is breaking the fibers by bending them too much. A standard USB power bank help power the bags, so go ahead and party hard! While you listen to music, your NEBULITE bag automatically detects the beat and begins to flash lights accordingly, the integrated accelerometer adjusts the animations according to your moves. The fancy lights help you get spotted in any crowded dark room, however they also backup as a safety feature for bike riders. The bags have internal illumination so that you don’t have to rummage hard to find your keys. What I like about the bag is that anti-theft feature that sounds off an alarm on your phone and through the bag, when someone tries to snitch it. Features like long-range communication, machine-wash and app-controls, make this a prized possession. Click Here To Buy Now: $66. Hurry, less than 4 days left! The world’s first smart fanny pack and drawstring backpack. Never again will you lose your friends at huge festivals. From a stealthy black to full-on rainbow. Only you control the spectrum of your style. Smooth, low lighting or bouncing with a beat detection? The choice is yours. With the built-in SMART controller they boast an insane range of features — all provided by the integrated motion sensor, audio detector, 85 dB loud alarm, and at its heart: the Bluetooth 5.0 capable processor. Bicycle Safety: Automatic brake light, remote controlled turn indicator. What is Fibre Optic Fabric? The NEBULITE Collection comes to life with ultra-thin optical fibers, directly woven with synthetic fibers. The fibers are processed in a way that allows light to escape evenly along the entire length of the strands. Six ultra-bright LEDs then flood the fabric with glorious light that puts the galaxy to shame. Back in the days, working out at home was all about the Jane Fonda videos and fancy leotards. Times have changed, and with fitness being the core of smart-devices, it’s only natural to have complimentary gym equipment and apps at our disposal. The Weela Pro Gym and Personal Trainer App is a step in this direction. It is basically an efficient home-training equipment that comes with about a hundred workout programs to choose from. I’ve tried home-training for several years and the one thing that I’ve found that works, is setting up of accountability. You need to train with a sense of purpose, and Apps with achievable goals, help you stay on course. What differentiates the Weela from the rest of the brigade is its compact packaging, making it very easy to store. This basic mat, handle and pulley system can help you get a full-body workout at different intensities. Along with this, your virtual personal coach keeps you motivated and clued into your health regime. The Weela comes with three changeable handles that enable training the whole body thoroughly. It takes up only one square meter of space and thus very easy to store or transport from one room to another. The Weela App is very easy to use and your gateway to the hundred workout plans. Start gymming right-away! Click Here To Buy Now: $599 $999 (40% off). Hurry, less than 72 hours left! 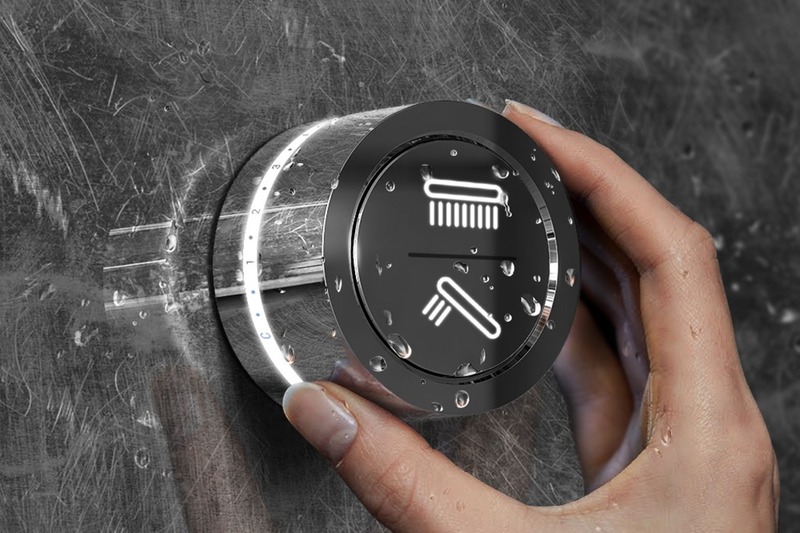 Have you ever been in a situation where you have turned on the cold water instead of the hot water, for your shower? It typically happens to me at hotels or when I go stay with my parents. Modern bathrooms can come with super-complicated fittings, because manufacturers want to pack in as many features as possible. I remember there was a time when jet-showers were a rage, so along with the main shower, came the super jets on the two side panels. They promised to give you a spa massage experience, and a total nightmare to navigate! 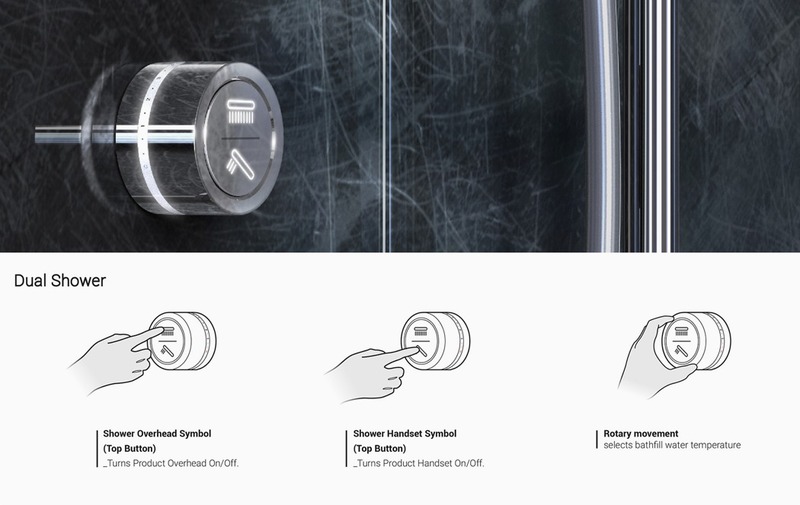 Today, we are back to appreciating the simplicity and a project like the Kohler Mode makes showering more intuitive and relaxing. 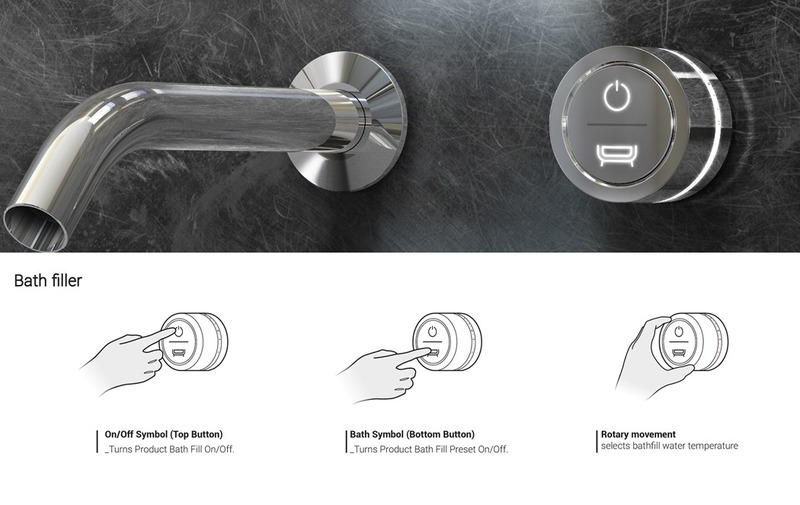 A stylish push button teamed rotary dial with LED indicators make it easy for you to navigate between bath and shower, hand and overhead shower, hot and cold water. Would love to give this a try!